The Uni Cut QZ is deployed everywhere different material mixtures have to be broken down. The patented QZ was developed to separate a wide variety of composite materials. The Uni Cut QZ is characterised by its process recovery of nearly 100% of the CFCs or pentane found in old cooling systems. The results achieved exceed the mandated standards set in the EU and contribute to the protection of the ozone layer. The QZ focuses on breaking down the waste material, but avoids separating the individual components and elements. 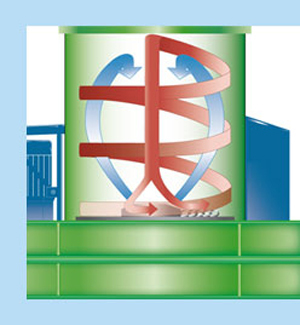 This means easy access to the disassembled, recyclable material while avoiding leakage of any contaminants. There are no cutting tools, such as rotating or fixed blades and granulating sieves. 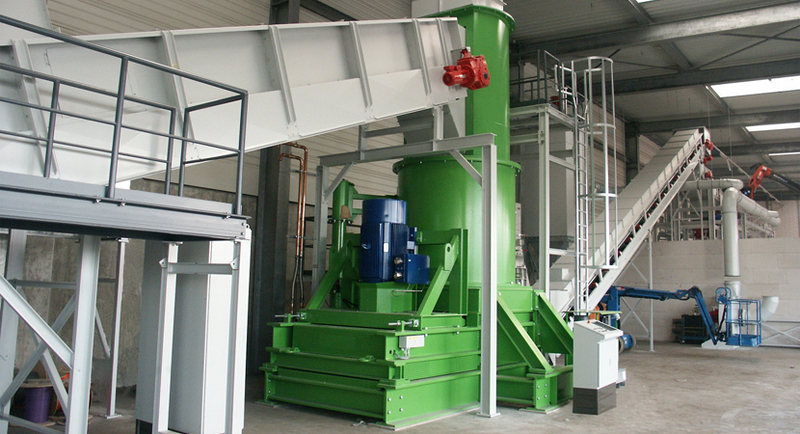 By colliding the accelerated feed material against itself performs approximately 80% of the reduction. The accelerating tools can be changed in less than 15 minutes. Optimal disintegration of the composite materials in an extremely short time with very little wear. Examples of output: Printed circuit boards, transformers, condensers, aluminium, copper, iron, stainless steel, etc. are laid out.